The recent trade conflict between China and the USA has played out in the foreground of a battle of ideas around international trade. After decades of political commitment to policies informed by the ideals of free trade (in rhetoric, if not in practice), politicians in major economies are increasingly vocal in their pursuit of alternative trade agendas, which has resulted in escalating risks of trade conflict. 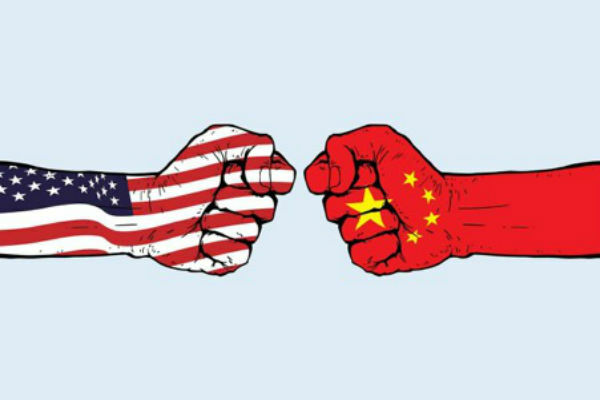 We spoke to James Dinsdale at Trade Finance Global about what a trade war is, why they arise, and the arguments around their effectiveness. Broadly, national governments can take one of two policy positions towards the flow of goods and services between their country and others. A “liberal” or “free” trade position believes this exchange to benefit the country, and will consequently resist attempts to create political, legal or economic impediments to these flows. In contrast, a “protectionist” trade position holds that, to a greater or lesser extent, these exchanges are not positive for the country. Supporters subsequently endorse using policy tools to restrict or control international trade flows. These “trade barriers” include taxes and duties such as incoterms and freight forwarding tariffs (taxes on imports applied at the border to raise their price compared to domestically produced goods), quotas on total import volumes, and regulations stating goods must meet certain criteria to enter the country. A trade war is the extreme consequence of two countries adopting protectionist attitudes towards the trade flows between them. They are usually triggered by one country initiating protectionist measures against goods and services being imported into their country from another country. If the other country retaliates by applying reciprocal trade barriers to their imports of the first country’s goods, and both continue to escalate these protectionist measures, then a trade war has been initiated. Why wage a trade war? Arguments for installing the initial protectionist measures which instigate trade wars are usually threefold. First, economic arguments are made that importing products into a country is bad for that country’s economy, as its consumers are paying money to foreign businesses for goods and services rather than businesses in their domestic economy. Second, it is usually argued that if imports are cheaper or better value, the country which exported them is acting unfairly in some way. This perceived unfairness could be economic (“the minimum wage is lower there than here”); ethical (“they mistreat their workers and the environment there”); legal (“that country is breaking the rules which govern trade”); or all three. Thirdly, protectionism can be politically popular if the affected industry has national emotional significance, economic importance or political influence; if the industry employs many voters or influential figures; or if the targeted country is not popular with domestic voters and elites. Once a country installs protectionist measures against another country, the same three factors drive its escalation. First, if the country has been specifically targeted by the first country when other countries also trade with them, the targeted country usually feels unfairly singled out. Second, fearing their country will be disadvantaged economically, the targeted country usually reciprocates by applying similar protectionist measures to the first country’s trade. Finally, trade wars are often geopolitical; countries sometimes instigate trade wars against other countries hoping that the economic cost of reducing trade is higher for that country in the hope of extracting a political or economic concession from them. Equally, countries reciprocate to show they cannot be “bullied” into those concessions. Trade wars impose two inefficiencies on the economy that imposes them. First, reciprocal tariffs restrict a country’s efficient industries from exporting their goods. The principle of comparative advantage states that, if both states specialise in production of goods they can produce relatively efficiently compared to each other, and then trade with each other, both can reach a higher level of productivity than they could trying to produce both products more inefficiently on their own. Increasing protectionist measures reduces international trade which reduces this specialisation effect and its compounding efficiency benefit. Second, barriers subsidise a country’s inefficient industries by forcing consumers who would have bought imported goods to purchase them from less efficient domestic producers instead. This means its consumers pay comparatively higher prices or receive comparatively lower quality goods. Moreover, tariffs are distributional; some producers gain, and some lose. Just as this can mean increases in political support from industries and communities that gain from protection, it can mean anger in countries that lose out. Trade wars are therefore bad for both participants’ absolute economic status; the total sum of what their economy can produce (i.e. their GDP). However, countries often consider their relative economic status in the world order rather than their economies absolute productive capacity. From this perspective, trade wars can be “won” if the barriers erected are eliminated and one side makes a lasting concession to the other which changes the relative economic relationship between them. Historically, this has usually occurred when countries extract these concessions by escalating trade wars into full-blown military conflicts; more recently, they might take the form of renegotiated FTAs, acceptance of levels of protectionism within a trade relationship, or commitments not to engage in the “unfair” practices which provoked the trade war. However, as both sides are absolutely worse off whilst the trade war wages, other countries not engaged in the trade war are relatively gaining from the benefits of free trade with each other, making trade wars a delicate geopolitical issue. The 2018 US-China trade war largely fits the pattern lain out above, with the US pursuing a change in its economic relationship with China and China determined to emphasise its own status as a global economic superpower. Whilst the two countries negotiate, economists are ascribing reductions in global GDP predictions to the conflict and industrial communities in both countries are growing more restless. Who might “win” this war depends as much on your economic and political perspective as it does the actual outcomes.